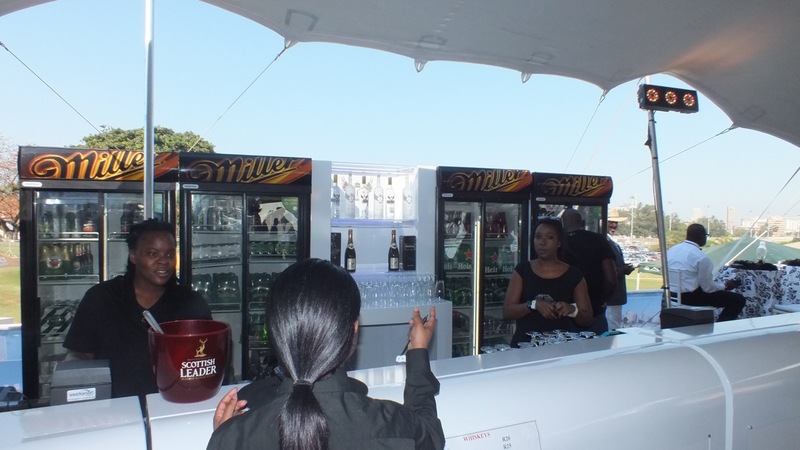 A full range bar is the opportunity for Barsequipped Mobile Bars to give the client some peace of mind. Barsequipped provides the client with bar units, fridges, glasses, staff as well as other bar essentials that complete a bar service for any type of event. We even go to the extent of consulting with a client by discussing the service with them prior and we extend the service to even purchasing the stock needed according to the clients budget with no mark up to the stock and we use our discounted rates at liquor outlets to the save the client some bucks. If the client does grant us the opportunity to purchase stock on their behalf we only charge a slight percentage for handling fees.